To the south, Mt. Pluto (W6/NS-138, part of the Northstar ski resort) is to the right in this shot. 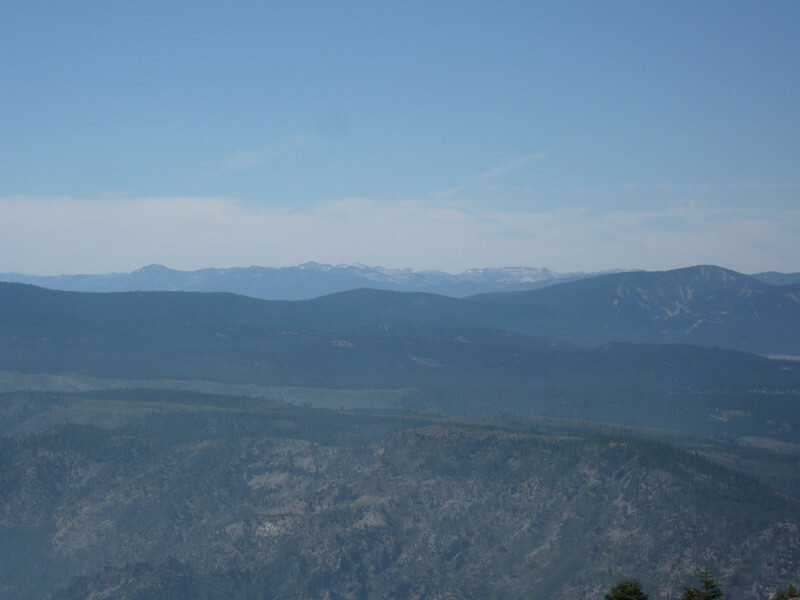 The mountains in the distance on the skyline near the center are on the other (southwest) side of Lake Tahoe and include the many SOTA summits within Desolation Wilderness.